So…What did I come up with? And I realized I really liked both…even if they turned out nothing like the picture I had in my mind. Love how that works out sometimes! 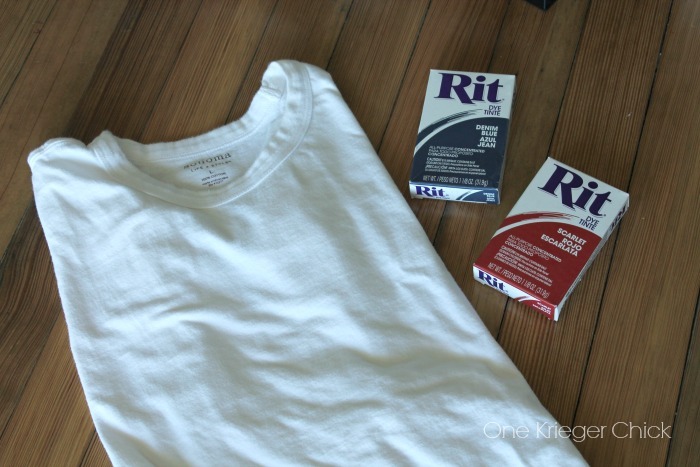 I raided my husband’s shirts for a white t-shirt and picked up a couple boxes of Rit dye at Jo-Ann’s. 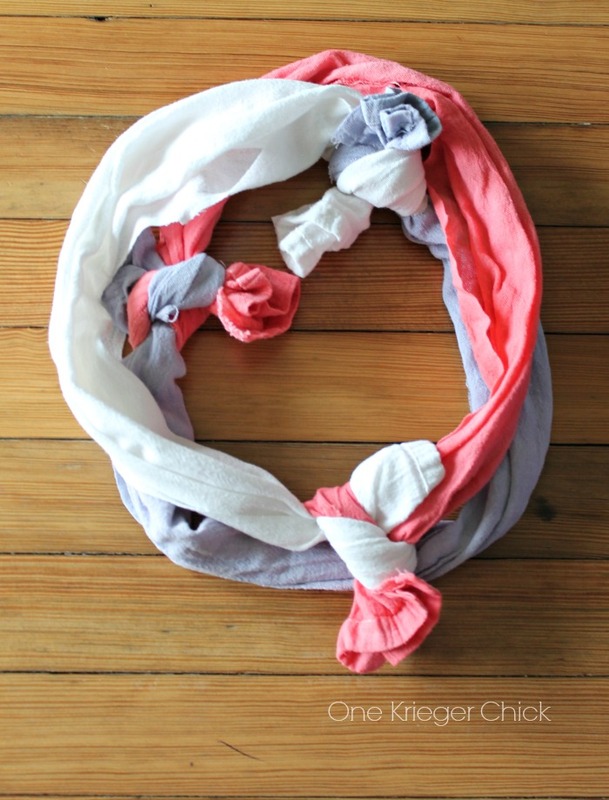 Leaving me with a perfect scarf-like round piece of fabric. And added rubber bands to indicate where I wanted the dye to stop. Note: Tie the rubber bands tight or you will get more bleed. I might have learned from experience on this one. 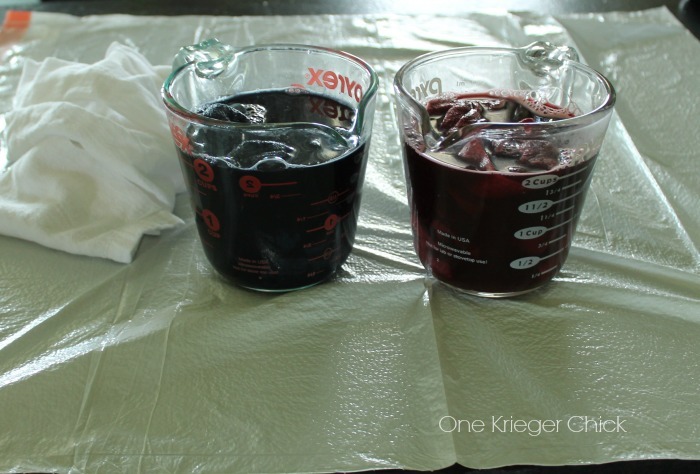 Now to mix up some color…I combined 1/3 package of dye, 1/4 c. salt, 1 Tbsp. liquid laundry detergent, and 2 c. hot water. I mixed it in a glass measuring cup- 1 per color. Then I dipped the scarf into the cup and set the timer for an hour, stirring occasionally. 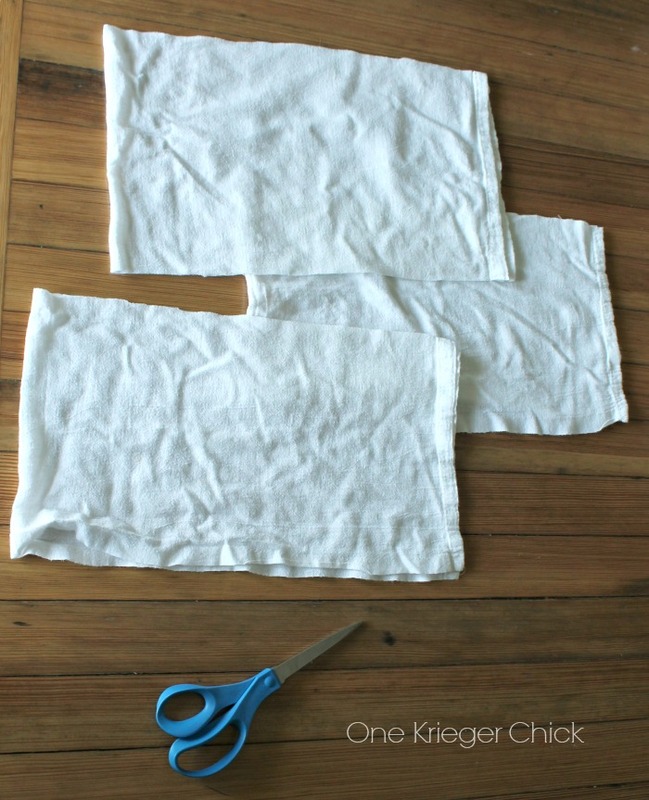 After an hour, remove each piece of fabric one at a time. Rinse under warm water, followed by cold water until water runs clear. 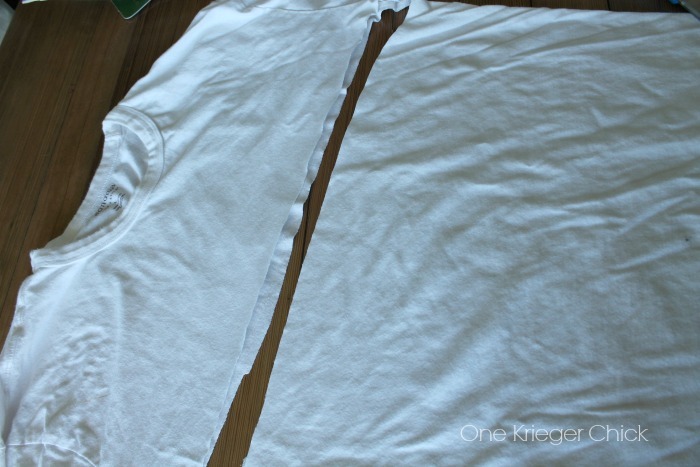 Make sure to do this in a sick that won’t stain. Wash and dry fabric pieces. I used cold wash setting and dried on low. Don’t be upset (like I was) if the color bleeds and fades a bit after washing. The colors did not turn out as vivid as I had hoped and the white is now more of a light grey purple. But…I really like it’s subtle effect. 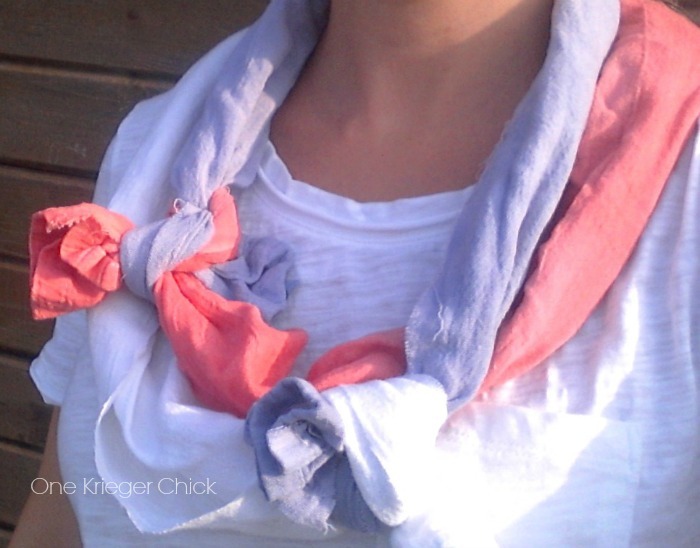 The scarf above didn’t turn out as expected, so I tried it again a little differently…using a tea towel this time. (Towel is from Target.) 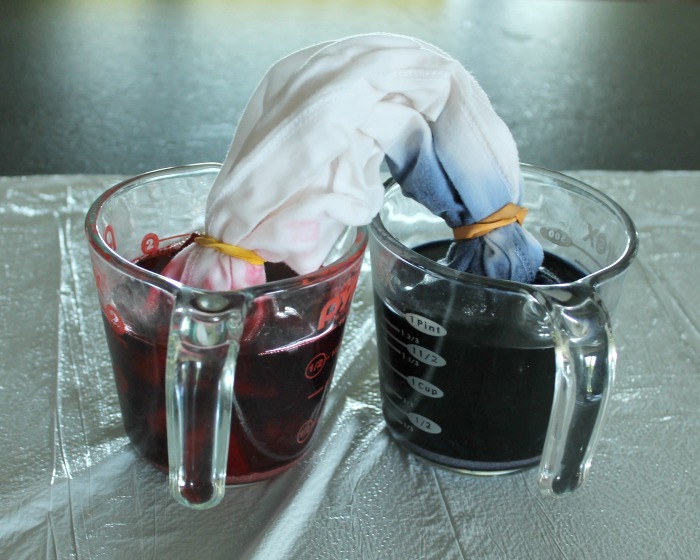 I thought maybe the cotton towel would take the dye better than the shirt…Wrong. I cut the towel in three even pieces. 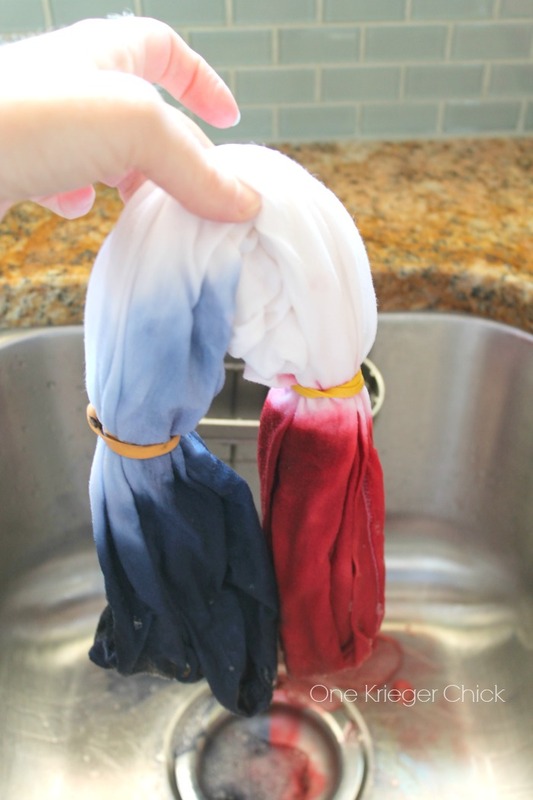 Then I mixed up another small batch of dye in red and navy. 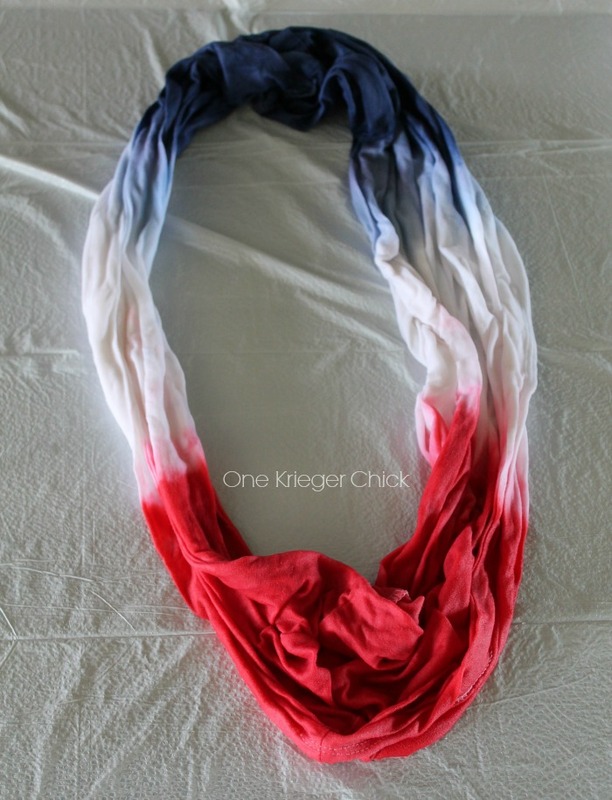 I submersed one piece of towel in navy and the other in red, then set the timer for 1 hour. 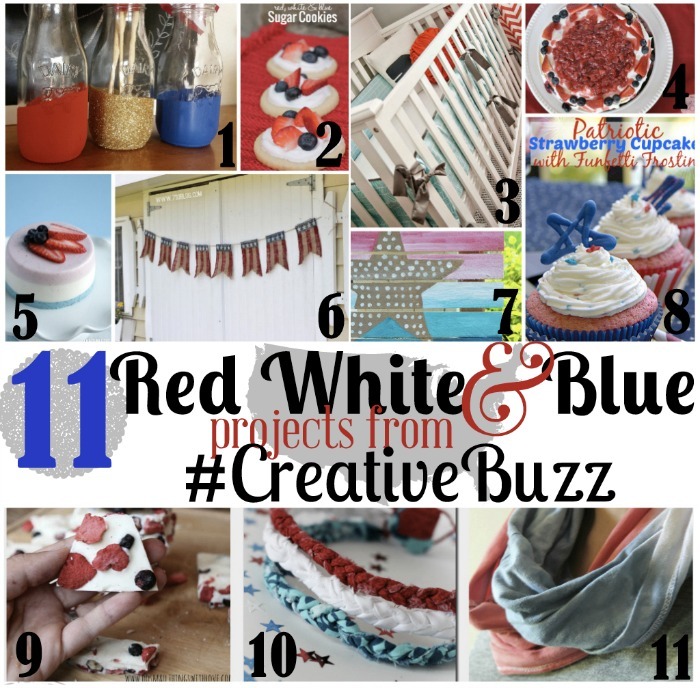 Not gonna lie- I was really disappointed and almost pulled my project from this month’s #CreativeBuzz Challenge. 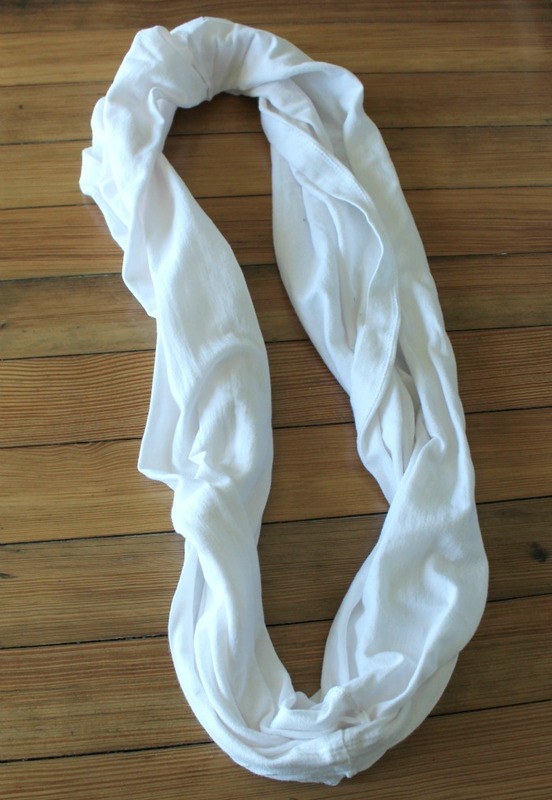 But then I tried on the scarf with a white T-shirt and I kinda love it now! What do you think…Project Win or Project Fail? Sharing with…Link Party Palooza, Whimsy Wednesdays, SugarBeeCrafts, Create-Link-Inspire, Do Tell Tuesday, A Bowl Full of Lemons, Work It Wednesday, The Makers, Creative Exchange, Cook it! Craft it! Share it! 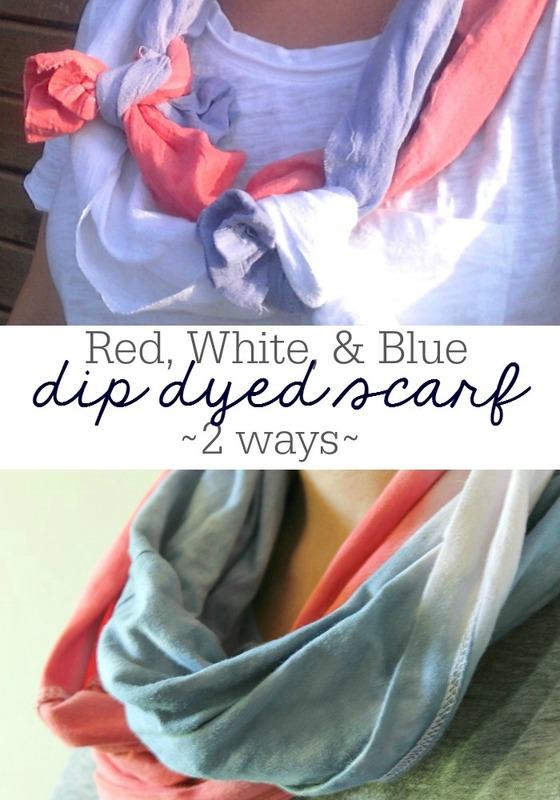 Love these scarves! 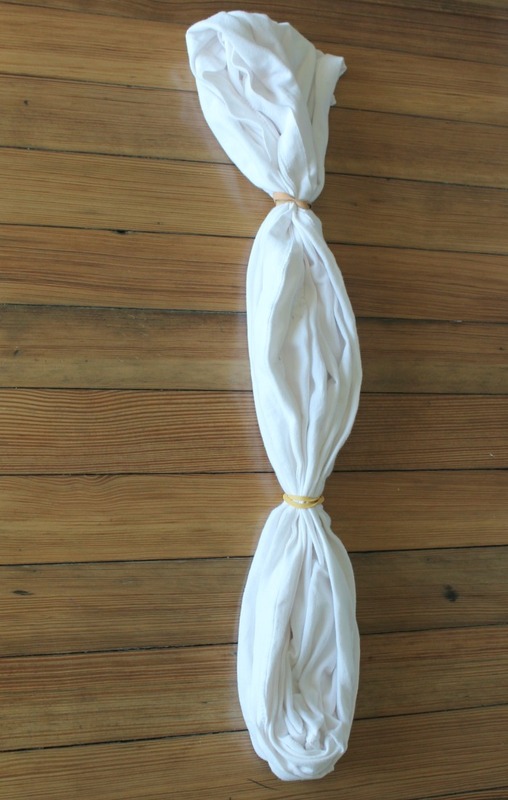 These look so simple to make! I think they are both awesome!! I love tie dying as it is so much fun! I love this!! its SOOO cute! the t-shirt one is just lovely!! 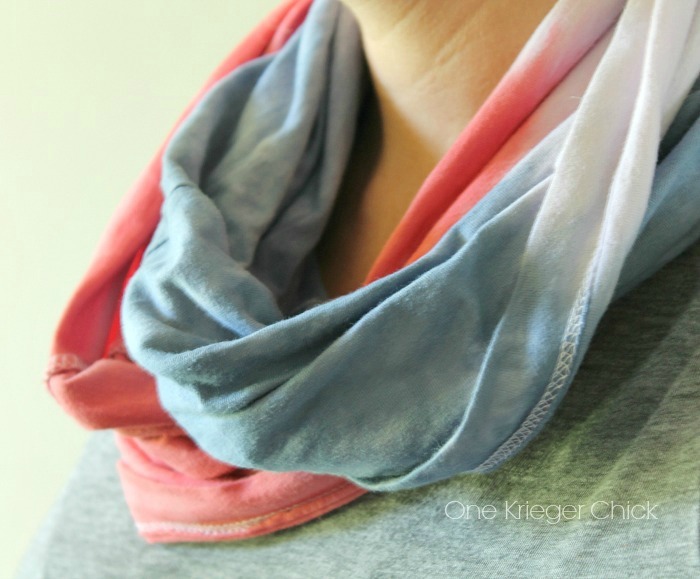 Already dreaming of making one with other dye colors ;o) Thanks for linking up to Create Link Inspire… pinned!